We created an interactive experience that positions PLAY! subscribers as members of an exclusive club. 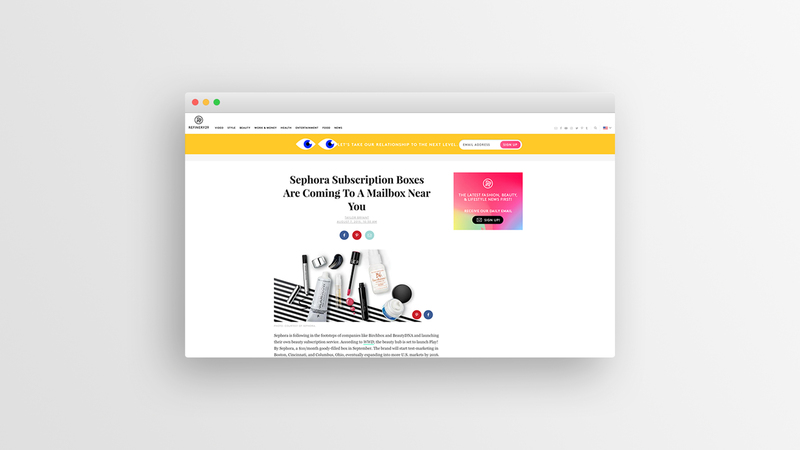 We wanted each customer to anticipate PLAY!’s new content as much as its monthly samples, so we built a content machine that runs the gamut of engagement, with 5 types of videos, social posts, emails, web destinations and more. 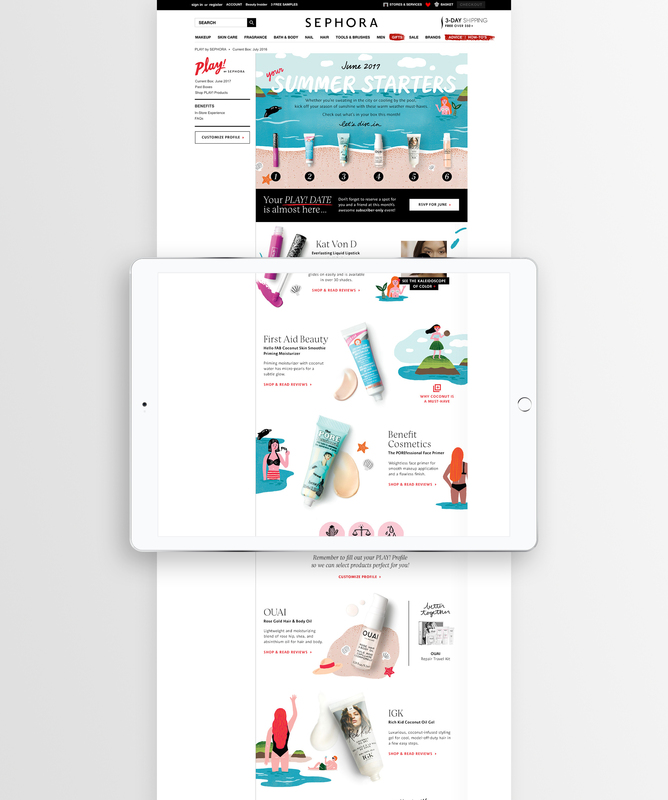 Each segment of our content flow provides an opportunity for more resonant conversations, with the end goal of driving customers to shop online and in-store. Since the launch of the program, we have brought over 275 pieces of PLAY! educational video content to subscribers. The demand for PLAY!’s services continues to outpace supply, with an ever-growing waitlist for the program. 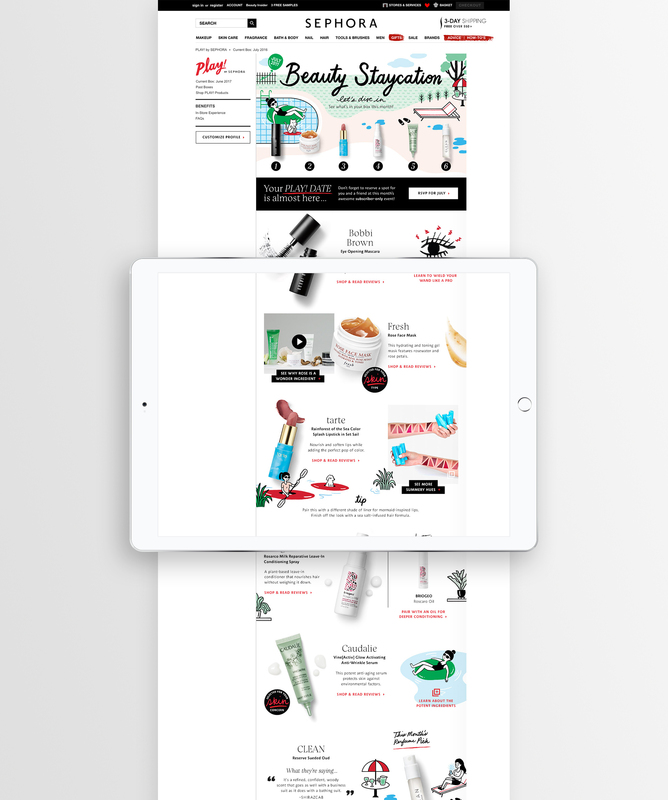 With the help of Standard Black’s content strategies, the service drove more in-store visits, created a new path to purchase online, encouraged deeper social engagement, and garnered an increased spend among Sephora Beauty Insider clients.